How much does Coyote cost? There are many variables that affect the price of a booking, so please get in touch with Coyote using the enquiry form for a quote. The variable range from peak dates, travel, arrival times/finish times and upgrades such as larger PA or extra lighting. Does Coyote’s price include everything? Yes. The price we quote is what you pay. Coyote come completely self-contained with a state of the art PA for up to 300 guests, LED stage lighting, music in-between sets, travel, public liability insurance and PAT tested equipment. Do Coyote require a deposit? Yes, Coyote requires a deposit of 25% to secure the date. We also issue a booking agreement that must be signed by both parties. As soon as Coyote receive the deposit and signed contract the date is booked! How many members are in Coyote? 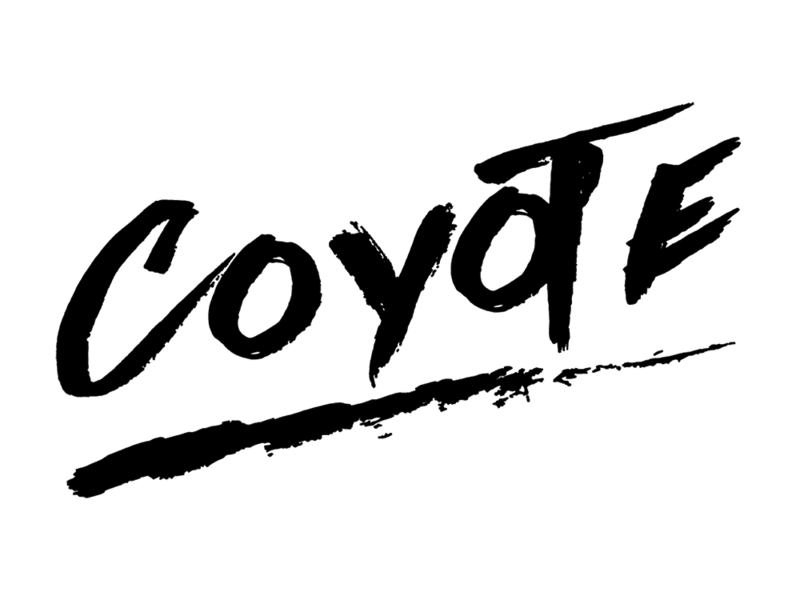 Coyote are a high-energy 4-piece party band consisting of female lead vocals, male lead vocals, guitar, bass and drums. Full pad and synth sounds are also added on some songs via playback which adds an authenticity and depth to the sound – if it’s good enough for Coldplay or Swedish House Mafia, it’s good enough for Coyote! We also offer extra musicians for the lineup e.g. extra guitarist and/or vocalist for an additional fee. Coyote also offer a stripped back 3-piece line up if you’re limited on space. Can I request songs for Coyote to play? We’re confident that guests will be locked to the dance floor and singing along from the moment we start performing. We consider ourselves experts in choosing the songs that work best to create an incredible party atmosphere! Coyote has a vast repertoire of contemporary chart, dance and indie music that is regularly updated and ensures that your event is cut above the rest. We also add our own unique spin to classic songs to ensure the momentum is kept throughout our sets. For weddings, Coyote loves to perform first dances and encourage clients to browse through the repertoire and see if there is anything we can perform live for you. We can also learn your first dance for an extra fee should it not be in the existing repertoire (just let us know when requesting a quote). There will be rare occasions when a request simply doesn’t work with Coyote’s line up and instruments, so for this reason cannot guarantee all requests, however we will work with you to find something that does. In the past Coyote have even managed to source violinists and harpists to perform a very special first dance song; nothing is too much on your special day! Can I see Coyote live before booking? In most circumstances this is not possible as Coyote specialise in performances at private functions. On the very rare occasion that Coyote might be doing a public show, it’s impossible to guarantee that by the time the show takes place we’ll will still be available for your event. How much space does Coyote need? Coyote recommends a minimum space of 5m wide x 3m deep but have been known to squeeze into smaller areas when absolutely necessary (or we recommend booking the 3 piece version of the band). The space can either be on the floor or as additional raised staging. When playing an outdoor event or marquee, hard flooring must be laid to set up and perform on. Any questions then please get in touch. How far will Coyote travel? Wherever you want us to! Coyote travels both nationally and internationally to play at events, corporate functions, festivals and weddings. Recent international events include a wedding in Majorca, corporate events in the Middle East and a cruise ship around the Mediterranean. Does Coyote need a room to get changed in? Yes, Coyote needs a secure changing area with good lighting and large enough for four people to get changed. What about car parking for Coyote? It is essential that a minimum of two car parking spaces are provided at the venue. Where parking is unavailable at the venue, please let us know in advance. Coyote will require reimbursement for any parking charged incurred on the day of the event. As we’re away from home for around 12 – 16 hours in total with travelling, we do require a good meal to ensure we’re fully energized for your event. Hot food or access to a good quality buffet is always much appreciated, as snacks or sandwiches don’t quite do the job. If for some reason it is impossible to cater for Coyote at your venue, let us know well in advance. Again, to keep timings as smooth as possible, please give your catering staff a heads up that we’ll require feeding and ideally food should be provided immediately after the first performance. If you’d like us to help ourselves to the buffet, it is also helpful if your caterers can plate this up separately so we can quickly eat and get on with the next set, rather than queue. As keeping you entertained is thirsty work, please also ensure that bar staff know soft drinks and tea/coffee are free for Coyote (or make arrangements for plenty to be provided in the band’s changing room.) You do not have to provide alcohol for us. That said, a complimentary alcoholic beverage once we’ve finished sound check is always much appreciated. My venue has a sound limiter, will this be a problem? For Coyote sound limiters are the biggest kill joy! If you don’t know what they are, sound limiters are devices that measure the volume of sound in a room, then cut off the electricity supply if the sound volume remains above a pre-defined threshold for more than 5-10 seconds. As we’re a lively, energetic band, sound limiters can restrict our performance and if the sound levels do cause the limiter to go off, it can really stunt the flow of a party. On that basis, if you can, we’d advise booking a venue that does not have a sound limiter fitted. If you are unlucky enough to have already booked a venue with a sound limiter, we’ll work with you to perform within the confines of a sound limiter, however it’s not always possible if the limiter is set unworkably low. The band cannot, for example, turn down equipment any lower than the unamplified volume of the drum kit. If the limiter is set to a threshold of approx 95dB, Coyote should be able to play without too much trouble, depending on the location of the sound limiter’s microphone. Below 95dB and you even run the risk of audience applause tripping out the electricity. When we arrive at the venue, we’ll also work closely staff to comply with the limiter and in certain circumstances, they are able to will switch off or raise the threshold if problems persist. Do you have Public Liability Insurance and is all your equipment PAT tested? All of Coyote’s equipment is PAT tested and we also have Public Liability Insurance of up to £10,000,000. Documentation is available on request. Will I need to provide any equipment for the band? Coyote is fully self-contained with PA system for up to 300 guests, sound desk and lights (larger PA and Lighting Upgrades available on request). The band does require that the venue has at least two standard 13-amp power points no further than 10 metres away from the performance space. What lighting will be provided? Coyote provides LED bar lighting for stage and dance floor as standard. For a more impressive light show, we also have an upgraded lighting package that consists of laser, addition stage LEDS, haze machine, and moving heads. How long do Coyote play for? Coyote performs two live one-hour sets that are specifically designed to ensure the entertainment is unstoppable. How you split that up is entirely up to you, but we recommend 2 x 60 minute sets as they work the best in creating momentum. There’s also the option of Coyote playing for longer or the option of an acoustic duo, which is great for, drinks receptions and more intimate events. Can you arrive in the morning to setup for an evening event? Yes, is the band is available. An extra fee will be applicable. How long does it take Coyote to setup? Coyote needs around and hour and a half to set up and sound check ideally with the area free of guests. Some venues have a curtain to separate the performance area for example, or even better empty the room out whilst Coyote are sound checking. If access to the function room is difficult i.e. a long way from the band’s vehicles, we will need additional set up time. Similarly, the stage area will need to be clear on arrival for set up, otherwise it can effect on set up times. Set up times are really important to the smooth running of your event, so we’ll work with you to ensure it’s as slick as possible. (**TOP TIP** You can enlist a team of helpers/ushers to move the gear during load in). Can Coyote play recorded/background music between the sets? Pre-selected party/background music comes as standard for any Coyote booking. Alternatively, if you’d prefer to choose it yourself, simply put together a playlist on your iPod/ipad and it can be played that through Coyote’s state of the art PA system.